Arriving in Guilin (Guangxi Province), our guide will welcome you at the airport, transfer you to your hotel and help you check in. Tonight, there will be a welcome dinner with local flavours. 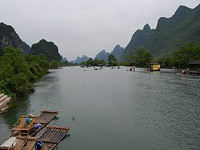 After breakfast, drive to Yangdi dock and take bamboo raft to enjoy the landscape of the Li River. Arrive at Xingping and stroll in Xingping Ancient Town. After that, drive to Yangshuo. You will have a bicycle trip there. Yangshuo countryside provides a very good chance to discover the real beauty of Yangshuo. The cycling is excellent, easy level rural roads and paved country roads will take you through numerous local villages, along bamboo lined rivers and rice fields and up close to the local people and their daily lives with our local guide. It isn't a strenuous tour and we can alter distances to suit your abilities. You may get the chance to visit a local family if you want. Today is free at leisure in Yangshuo. After breakfast, drive to Sanjiang. 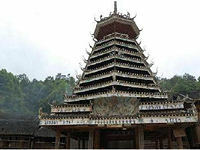 Sanjiang (Guangxi Province) is a county inhabited by the South Dong, one of two subgroups of the Dong ethnic minority. A short drive from Sanjiang will take us to Chengyang, a quaint little village with one of the largest Fengyuqiao (Wind and Rain Bridges) in the region. Here we will explore the villages on foot. Today we drive to Zhaoxing, one of the largest Dong villages in Guizhou Province, with more than 800 households and a population of 4000. There are five drum towers and five roofed bridges belonging to five large families living in the village. We can enjoy some free time in the village or hike for about 3 hours to reach Tang’an, one of the four eco-museums in Guizhou province. Drive from Zhaoxing to Kaili via the Xia-rong Highway. Much of this newly-built high way is either tunnels or bridges. We’ll see marvelous mountain views and we’ll also stop on the way to visit Yintan, a lovely quaint Dong village hidden in the mountains. After breakfast, we’ll visit the Ethnic Museum, then drive along the beautiful Bala River to visit Jidao Miao Village which represents the long-skirt subgroup and Datang, a Miao village with an aquatic granary and the women’s 'Mini skirt'. Then visit Paika Village to learn about the Lusheng - the Miao people’s most important musical instrument. Finally we visit the Miao’s rice storage houses over the water at Datang Village. The Miao style wooden houses are comfortable but dangerous, too, as there is a great risk of fire. Therefore the local villagers in Datang build small houses above water for rice storage to protect their rice from fire, rats and insects. Today in the morning visit Matang Village, a quiet village inhabited by the Gejia minority, where we will learn about their culture, of which very little is known. 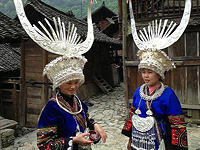 The Gejia although classified as Miao, is in fact a separate group. You will see the typical costumes, houses, embroidery and batik making. In the late afternoon drive back to Guiyang, the provincial capital of Guizhou. After dinner, you will be transferred to the railway station to catch your train to Kunming. In the morning arrive in Kunming, the capital city of Yunnan Province, you will be transferred to hotel for breakfast and a short rest. Then drive to Dali. After arrival, take a stroll in Dali Old Town. The history of Dali Old Town can be traced back to the Tang Dynasty (about 1000 years ago) when Dali was the capital of Nanzhao Kingdom which is the home to Bai minority. The town, whose format is like a chess board with four gates guarding in the directions of east , south, west and north stands between Cangshan Mountains and Erhai Lake, a natural configuration that seems specially designed for a good bountiful life. After breakfast visit the morning market in Xizhou Bai village and see Batik Workshop in Zhoucheng Bai Village, then drive to Shangri-la/Zhongdian. In the evening visit Zhongdian old town with Tibetan old streets and houses, at the same time, you can watch the local Tibetan people dancing in the old town to enjoy themselves. This morning visit the Songzanlin Tibetan Buddhist Monastery, which is 5 km from the seat of Shangri-la County. Construction began in 1679 and was completed in 1681. It is said that the Fifth Dalai Lama chose the site of the monastery through divination and named it "Gedan Songzanlin Monastery". In 1724, during the reign of Emperor Yongzheng in the Qing Dynasty, the monastery was renamed the "Guihua Monastery". During its time of greatest prosperity, there were more than 3,000 monks in the temple, now there are still 700 monks inside. Next we visit a Tibetan family and enjoy a Tibetan lunch. 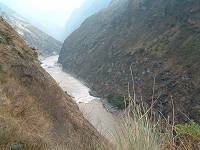 In the afternoon we drive to Lijiang, visiting the Tiger Leaping Gorge en route, which is believed to be the deepest gorge in the world. From the top of the gorge you look down the steeply angled (70-90 degrees) mountainsides to the rushing Golden Sands (Jingsha) River with its 18 frothing rapids more than 200 meters (about 700 feet) below. Upon arrival in Lijiang, check in at hotel. 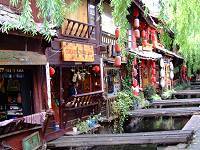 We spemnd the morning walking in Lijiang Old Town, a lovely traditional town with beautiful wooden houses and crisscrossed with streams of mountain water. Lijiang is one of the best preserved ancient towns in China and is on UNESCO’s World Heritage List. Then visit Dongba Cultural Museum by the Black Dragon Pool Park. In the Dongba Museum, you can see the pictograph that was developed by the Naxi Nationality 1,000 years ago. This pictograph is still being used today. The Black Dragon Pool's name comes from the waters which sparkle like jade and are as clear as spring water. The entire park is very green and shaded by swaying willow trees. Under the Suocui Bridge, a waterfall creates a constant roar as it cascades downstream. Afterwards, we visit the Baisha Naxi Village. Baisha (White Sand) is located in the north of Lijiang. It is named this because of the large amount of white sand there. According to history Baisha is the earliest place for the settlement of Naxi nationality after they entered Lijiang basin. Finally, visit Shuhe Ancient Town. Shuhe, also "Shaowu" in Naxi language, means "the village at the foot of the high hill". In the past, there behind the village was a high hill named Jubao Hill, so people named the village after the hill. The Ancient Town of Shuhe is located 4 kilometers to the northwest of the Ancient City of Lijiang. Its central part covers an area of about 5 square kilometers. 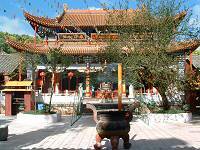 In 1997, the Ancient Town of Shuhe was ranked as an important part of the Ancient City of Lijiang. The rest of time is free for your leisure. Today we will drive back to Kunming via Shuanglang, a beautiful little fishing town beside Erhai Lake of Dali. You will visit some fishing villages there. Erhai Lake is the second largest highland lake next to Dianchi. The lake covers an area of 250 square kilometers and is located about two kilometers east of Dali. After arrival in Kunming, check in hotel. After breakfast we drive to visit the Bamboo Temple which dates back to the Tang dynasty with 500 colorful clay Buddhas. 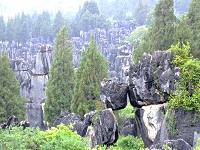 At lunch, try the sensational Yiliang Roast Duck and then visit the Stone Forest (Shilin in Chinese, 89 km, 1.5 hours ). This 80 hectare site of fantastic limestone formations was created during the Permian Era when the sea covered this area. 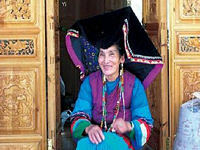 Shilin is on the World Heritage List and managed by its traditional keepers, the Yi people. It is famous in China and unique in the world. Back to Kunming and a farewell dinner will be arranged tonight.